There is something about the glittering lights of La Tour Eiffel. One just won't get tired of it. You probably can't notice the glitter on the tee. Although I usually don't buy clothes with any sparkle or sequins, this one is adorable, and I love the placement of the graphic. 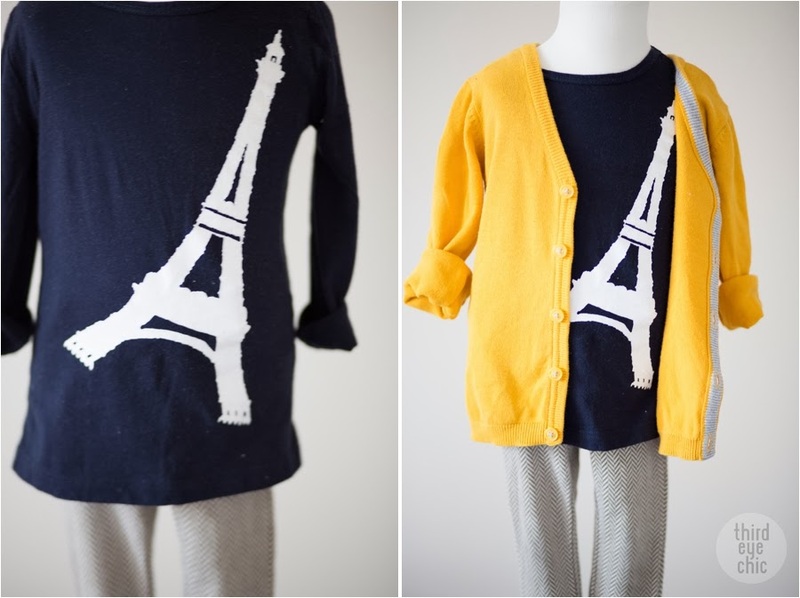 So Paris, so chic! 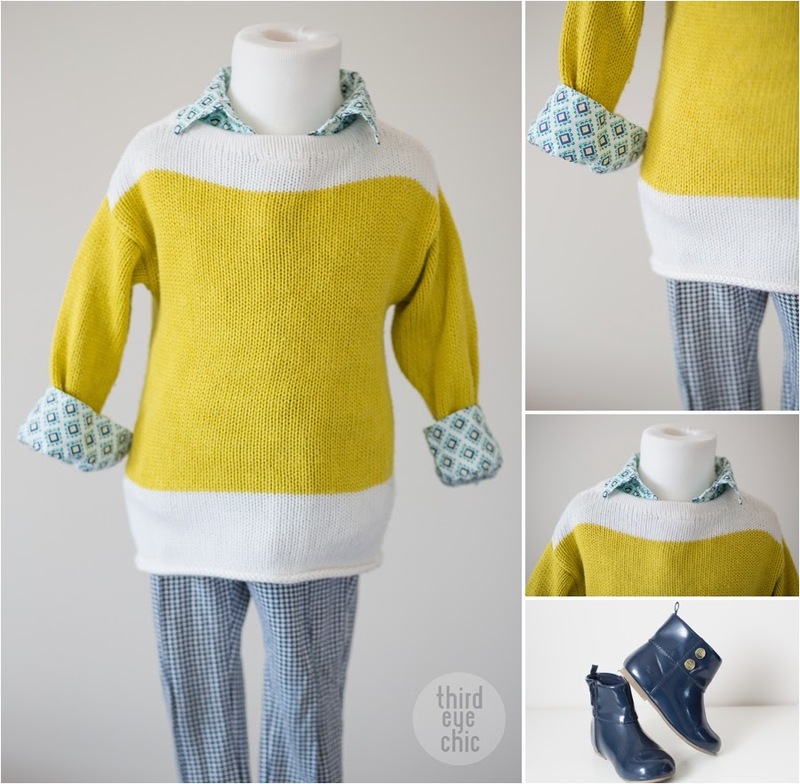 A simple, casual look: trying mixed prints with a color block sweater. Happy New Year everyone! Sorry, we've been MIA. We are just recovering (as a family) from a horrible cold. Hope you all had a wonderful holiday. Starting the year with this gorgeous plaid coat. 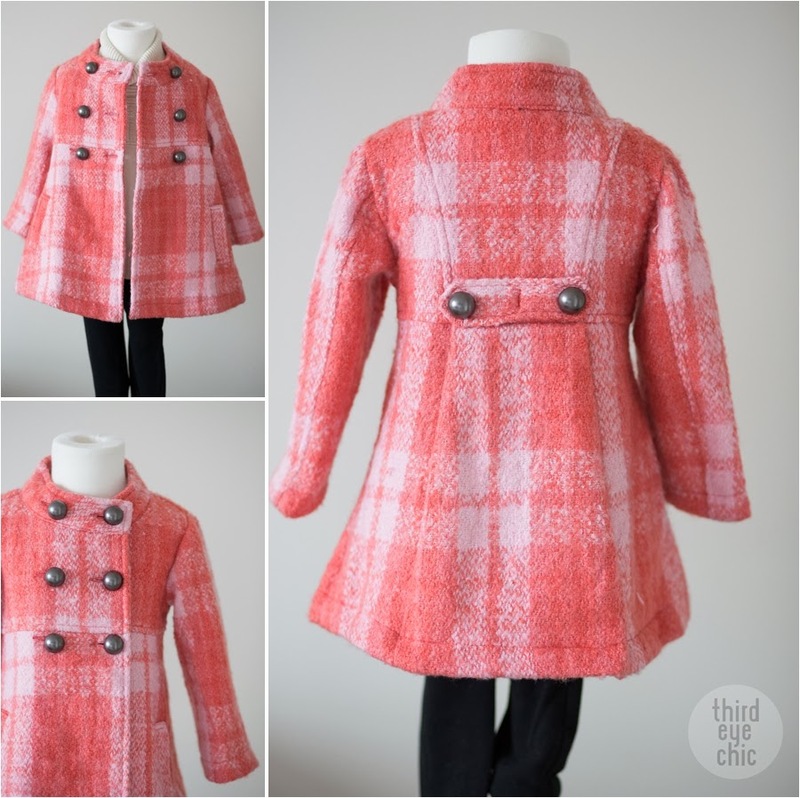 It's so hard to find good coats for little girls. This Pumpkin Patch coat is my Nordstrom Rack find, and I absolutely love it. It's warm, super stylish, and the color makes it even harder to resist.